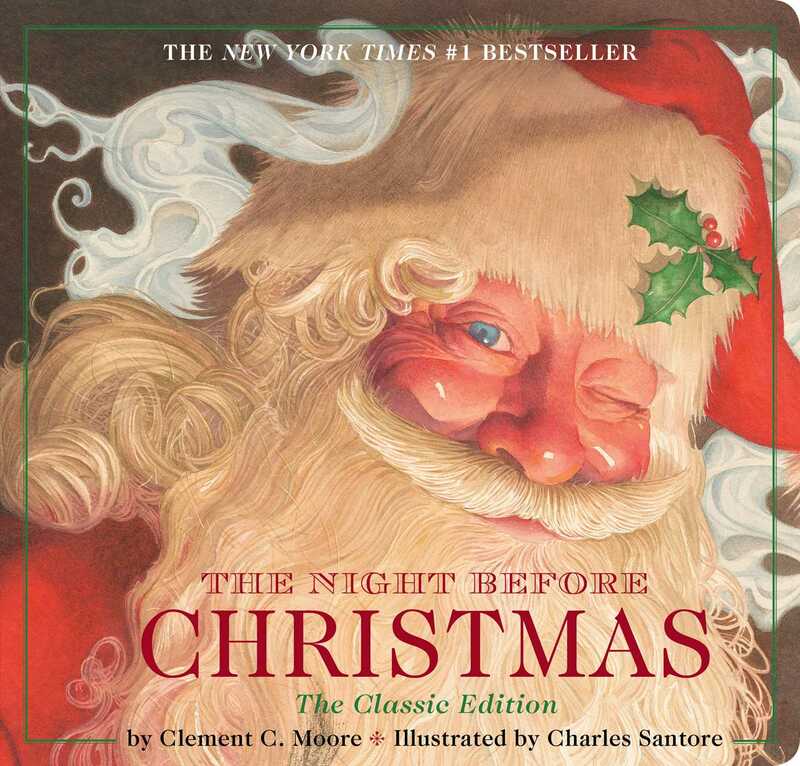 The #1 New York Times Bestselling edition of the classic Night Before Christmas poem is now available in a board book format with beautiful, original illustrations by award-winning illustrator Charles Santore. This special format showcases the best-selling features of the original classic edition on board stock that will withstand repeated handling without tearing or fraying. This beautiful board book edition of the #1 New York Times best-selling Night Before Christmas is the ultimate addition to any family home library for Christmas time reading. Full-color, original artwork by award-winning illustrator Charles Santore is faithfully reproduced on sturdy board stock that will withstand rereading and repeated handling without tearing or fraying. Reading this most-loved poem is a classic family tradition and adds a magical component to every child’s Christmas!